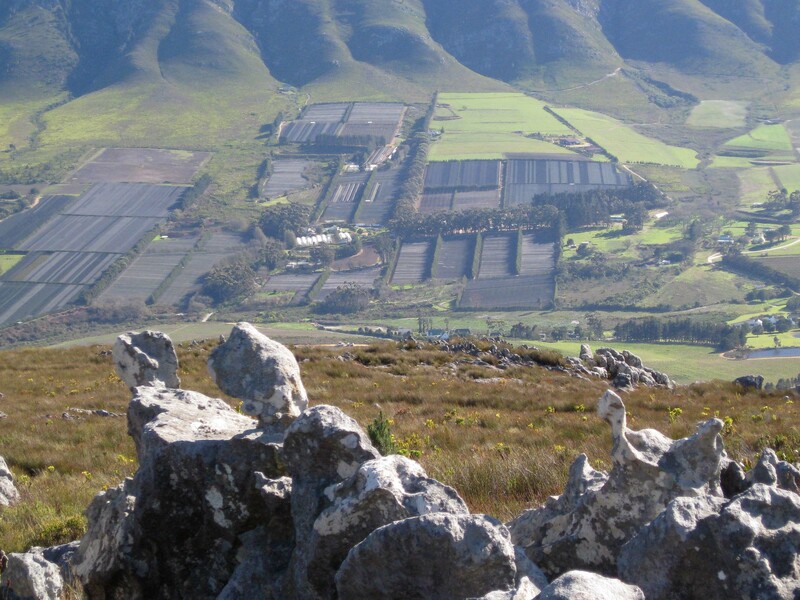 Walking at Sculptured Corner last week gave us a good view over the Hemel-en-Aarde Valley, a much admired feature of the Hermanus landscape. We were saddened to see how the berry industry has transformed this valley and today’s article in The Sunday Times brought it to mind once more. For those of you who are not familiar with the subject, I attach herewith a photograph I took whilst on the mountain. It clearly shows the acres of shade cloth that have so incensed some of the residents. One can’t help wondering how much this sort of activity has contributed to the current water shortages in Hermanus. I measure the rainfall in Fernkloof and by the end of July we had had fully 100mm more than our average rainfall for the first 7 months of the year, suggesting that there should have been far more in the De Bos dam than at present. Are the riparian users in the valley exceeding their rights? Its an interesting thought!